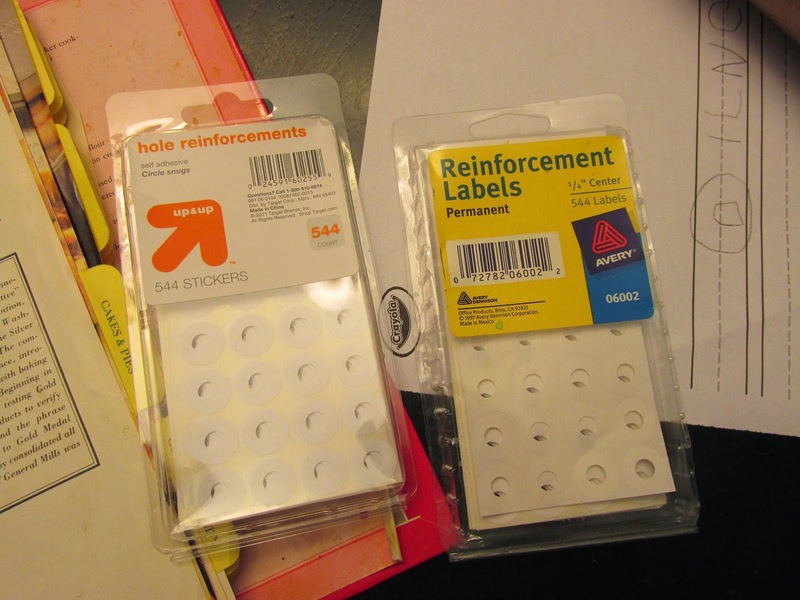 Have no fear--"snowman stickers" are here (actually, they're reinforcement labels, but we use them in the winter for easy snowmen on construction paper). 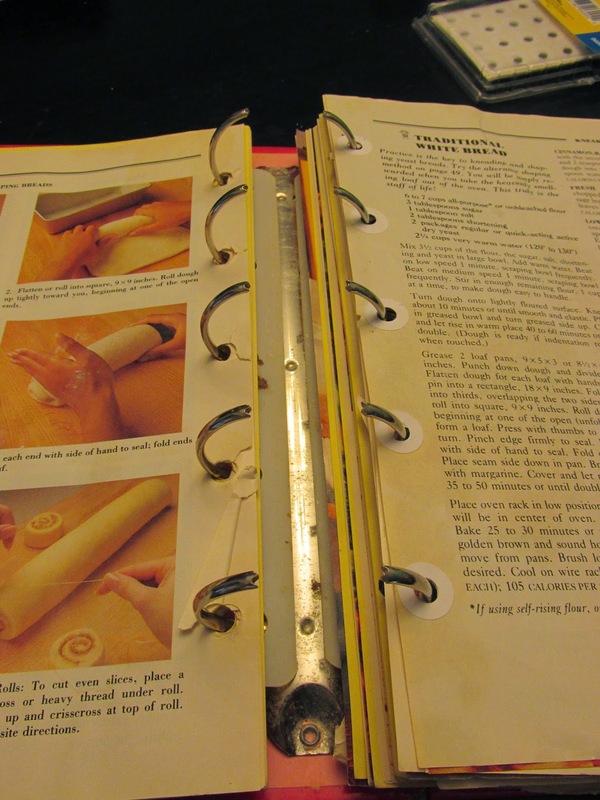 This cookbook was a wedding present, so it had sentimental value. 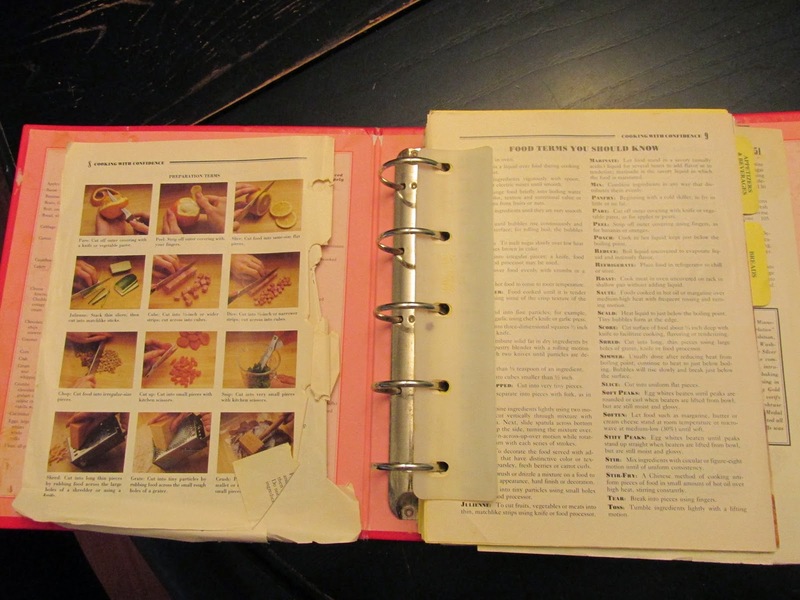 Also, it has some of our favorite recipes, so fixing the torn pages was a good task for a 4-year-old, who is old enough to realize its importance! As with any impromptu work, first show the child the tools you'll need. Whomp up as much drama over the torn pages as you can muster. Then demonstrate how to peel each label and carefully put it around the hole, turn over the page, and carefully do the same to the other side. If your child is able to do this pretty well, oooooh and ahhhhh because really it's pretty darned difficult! "Alleluia" did well on centering them, but every so often I showed her how to fix any crooked ones. It takes a steady hand to put the label on the other side. Be sure to check that it lines up nicely. "Well done!" 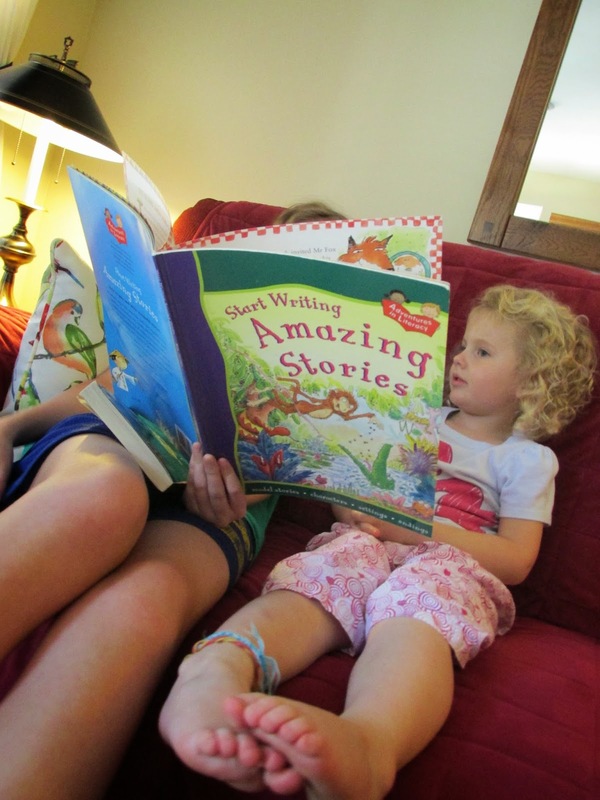 In a classic Montessori classroom there is a lot of storytelling going on. We recently came across a book that first tells a traditional folktale, and then asks the reader to re-tell the tale using different elements. What a great idea! I used to LOVE looking up words in the dictionary, because I would get sidetracked and learn all sorts of amazing stuff along the way. So even though my older children often use an online dictionary, I want the younger ones to use the "old fashioned" kind. There are LOTS of good children's dictionaries out there. So first ask your young child what one thing would be fun to look up ("Alleluia" has been going through a phase of being obsessed with turtles, tigers and robots, so we knew they'd be on the list.) 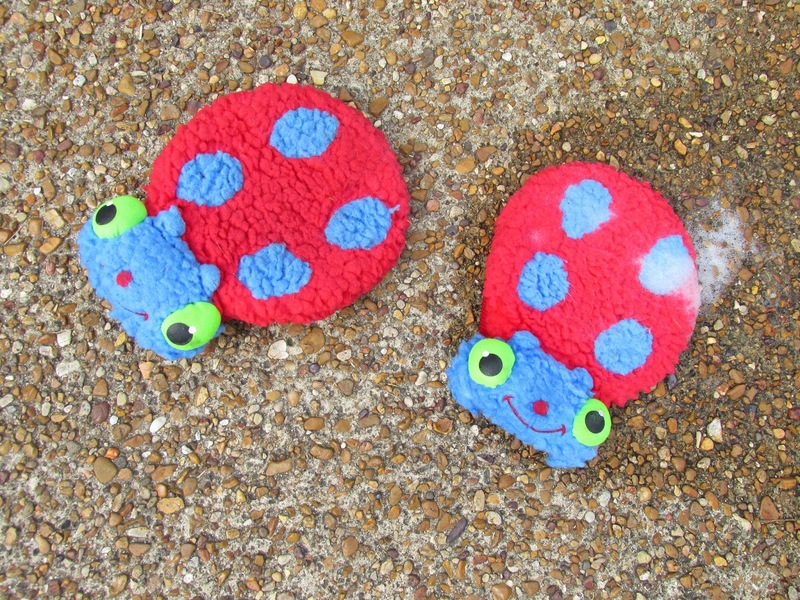 For instance, let's look up turtle. "What sound does that start with?" "T!" The first time you may go straight to the letter T and then find the prize quickly. After reading all about turtles, ask for another word to look up. "Robots!" "What sound does robot start with?" "Rrrrr!" 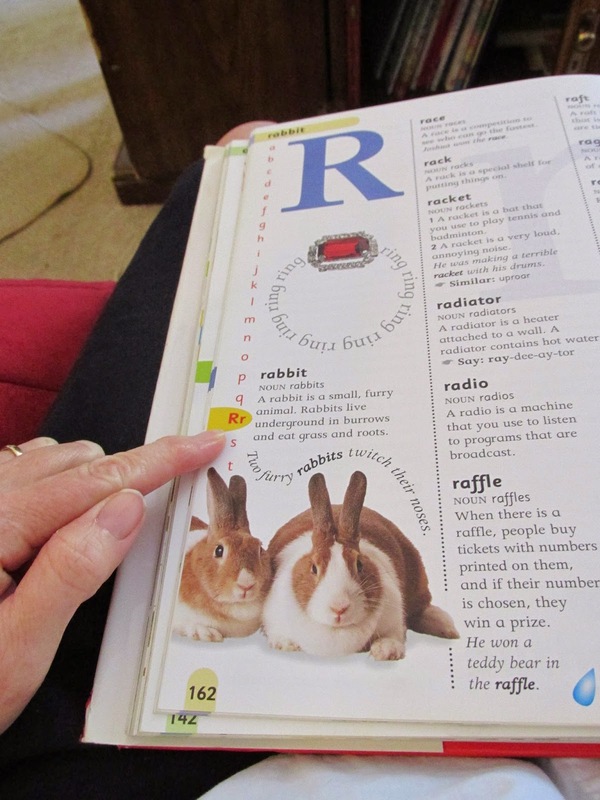 This time, show your child how the dictionary is organized alphabetically. You might sing the alphabet song quietly to yourself to figure out where R is found. 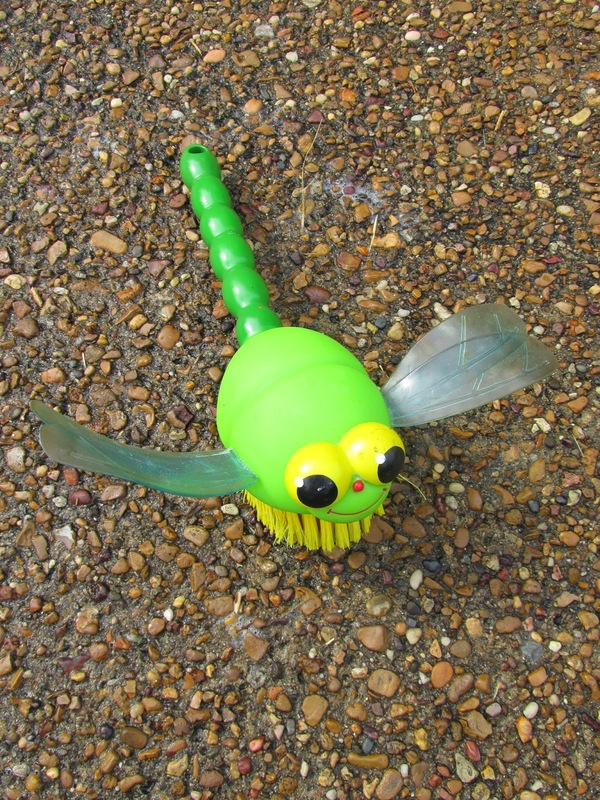 Once you've found R, ask, "What sound comes after 'rrrrrr' when we say, "robot?" "Oh...." Then show your child how to look for the letter O as a second letter in the word. Don't take too long or the whole thing will get too boring! Pretty soon you'll both see a photo of the beloved robot and read all about it! 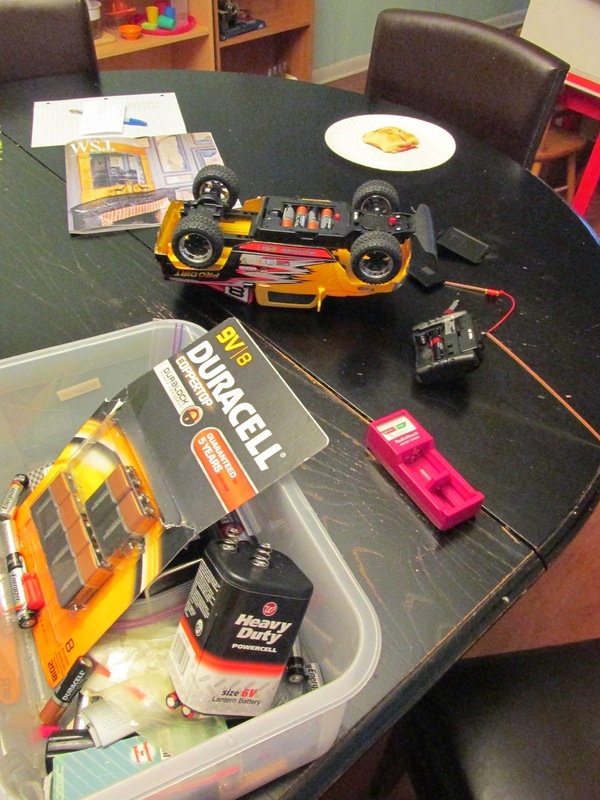 The next time a toy, remote, tuner, or smoke detector battery is out of juice, call your child over to replace it for you. All you need (besides fresh batteries) is a battery checker (well worth the money!). In our case, our guitar tuner and remote control car were out of juice on the same yucky rainy afternoon. So first, show your child how the thingy ISN'T working (if they haven't already figured that out and come screaming in frustration). Next, introduce the handy dandy battery checker. If you are really smart you can explain electricity, otherwise do as I do and just point out that the needle thingy is in the red. Toss the old battery and test another one, this time (with hope!) the needle thingy will be in the green. With some kind of batteries you have to point out details, like the terminals on the 9-volt. 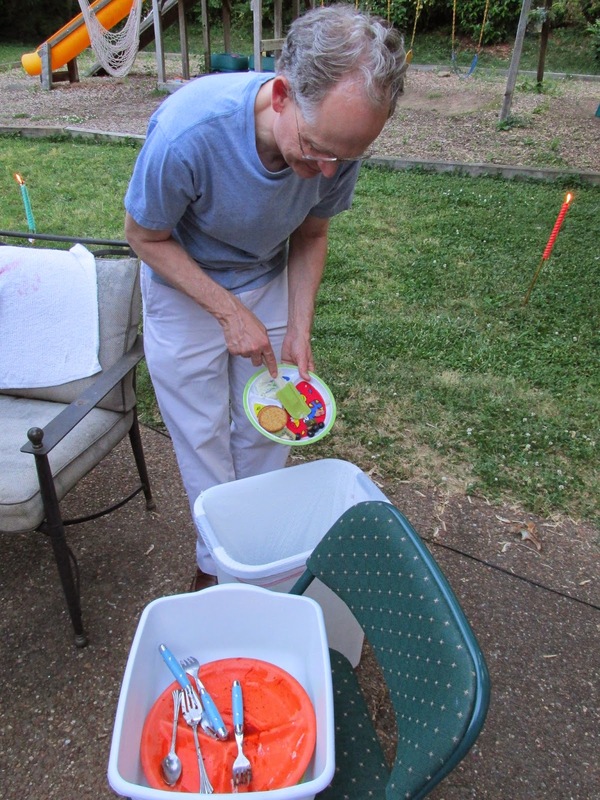 Table washing is a traditional Montessori work, so if your family is eating outside tonight get the kids to help get ready. 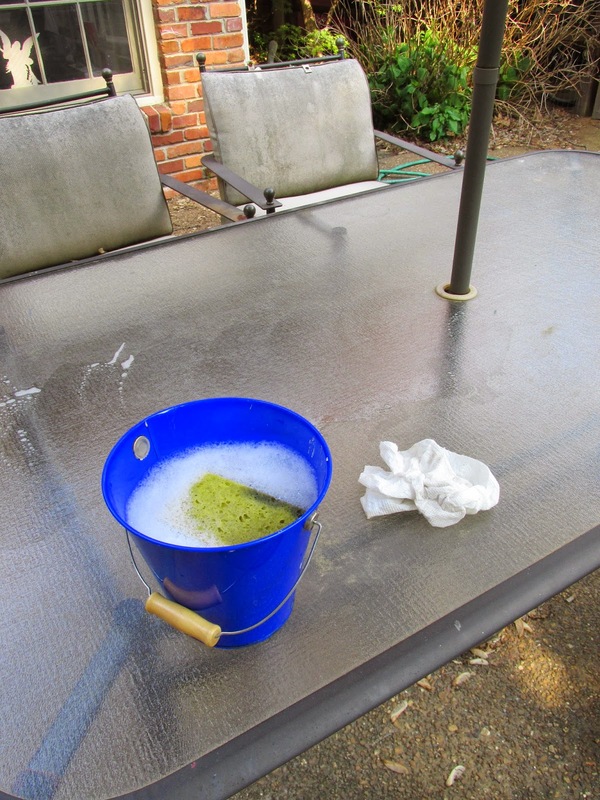 If they've already done indoor table washing and gone thru the rigmarole they know the basic procedure, but outside it's usually WAY more fun because the table may be REALLY GRODY and because it could easily turn into an excuse to put on your swimsuit and play in the sprinkler afterwards. How might you "Montessori-ize" the clean-up process after dinner? 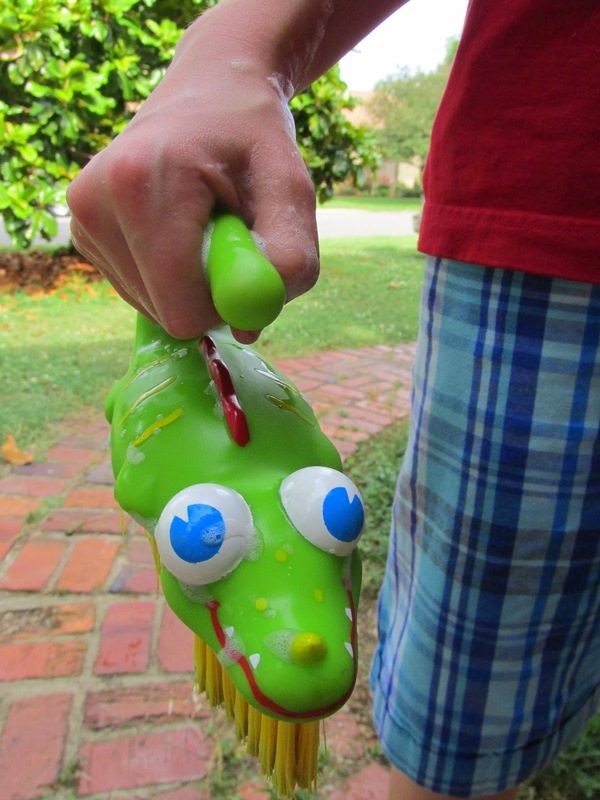 Bring out a trash can, a plastic wash basin, a rubber spatula and a dollop of dishwashing liquid. 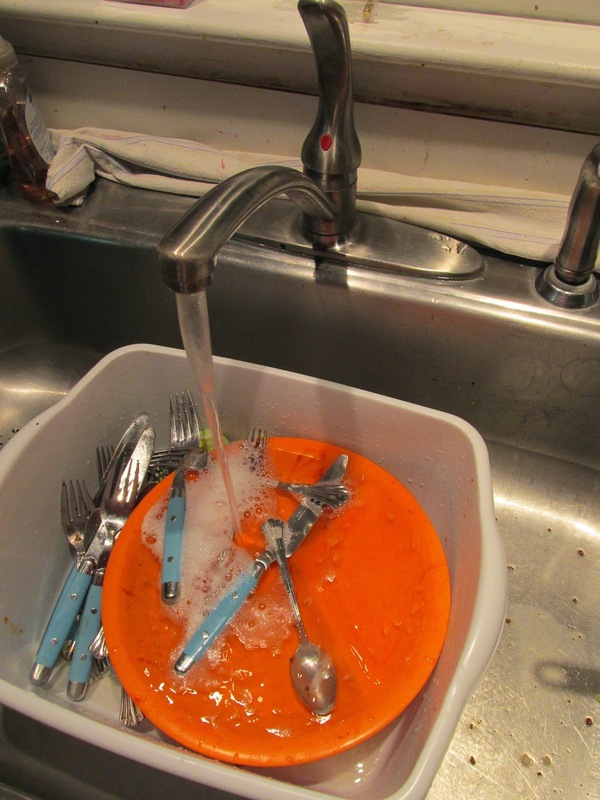 Ask each family member to scrape their scraps into the trash and put their empty plates in the basin. ....where the washing up is made a bit easier! 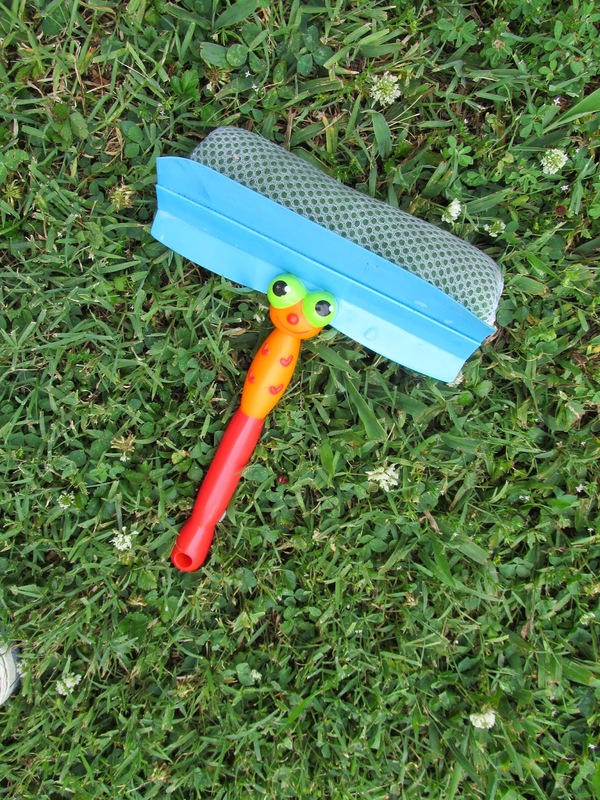 If it's the first wagon ride of the season, or if the last passengers had popsicles that dripped all over the place, a good scrub may be in order. This kind of job is great for a toddler, who may hate sitting in yucky stuff or who may take great pride in his or her ride. It also takes a lot of energy! I am a big fan of any works that involve mixed ages. This is a work that can get very detailed and can take a long, long time if you need it to. We got these car wash supplies at least 10 years ago and they seem to make this work more attractive (yippee!). What impromptu works will you notice this week?